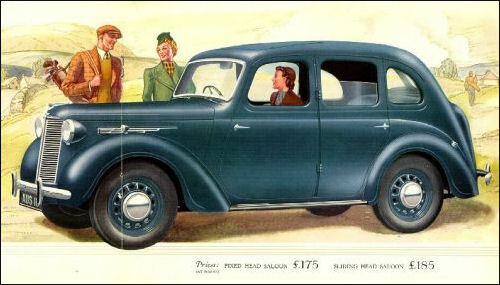 Zakończono produkcję modelu Seven. Od czerwca 1922 roku powstało 290 tysięcy egzemplarzy tych małych samochodzików a licencje sprzedano m.in. do Niemiec (Dixi), Francji (Rosengart), USA (American Austin) i Japonii (DAT). 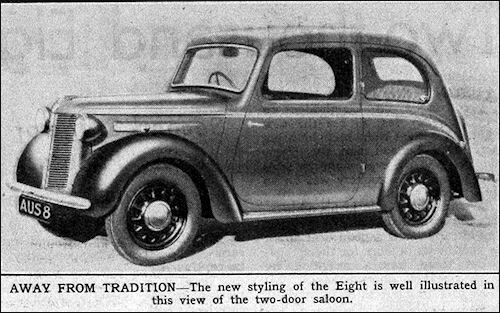 In 1939 the Seven and the 7.99 HP Big Seven were superseded by the new Eight. 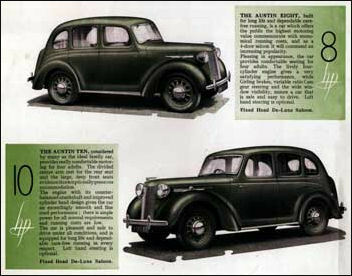 Austin 1939 range comprise more than 25 models in seven series. 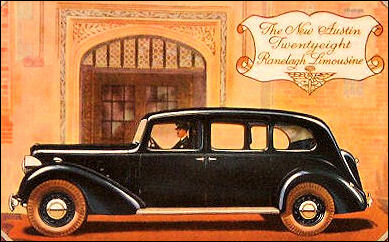 During the year two new models were added: a new Eight and a redesigned Ten. 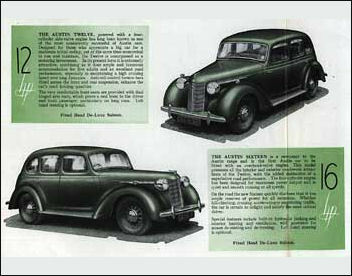 The other models are much the same as for 1938 but with detail improvements. 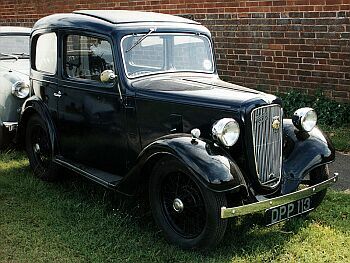 Austin Ascot Cabriolet on 12 HP chassis. 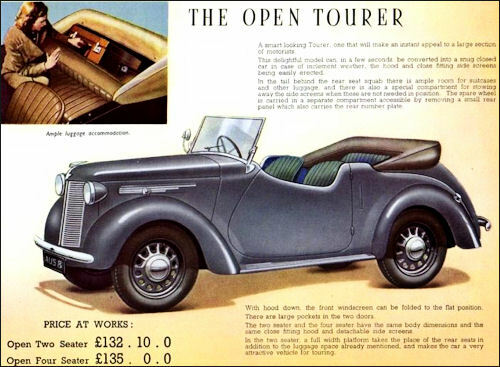 The folding roof could be fixed in one of three positions: up, halfway open or fully lowered. 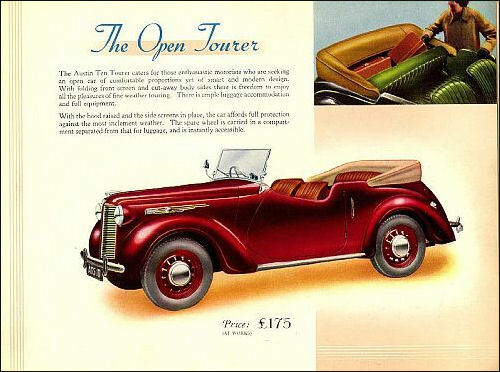 Similar-looking but of different dimensions are the Conway (10 HP) and Goodwood (14 HP) Cabriolets. 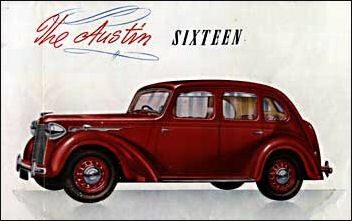 Austin Norfolk Five-seater Saloon on the 18 HP short wheelbase (9 ft 4 1/2 in) chassis with 2510-cc side-valve Six engine. Permanent hydraulic jacks facilitates the raising of all four wheels or the front and rear wheels in pairs. 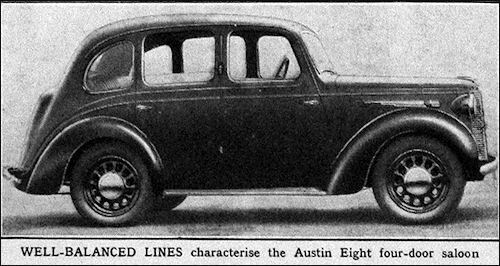 The Twenty-Eight Ranelagh Limousine is Austin's most luxurious model and costs £700 (cheapest 1938/39 Austin is Seven Two-seater at £108). 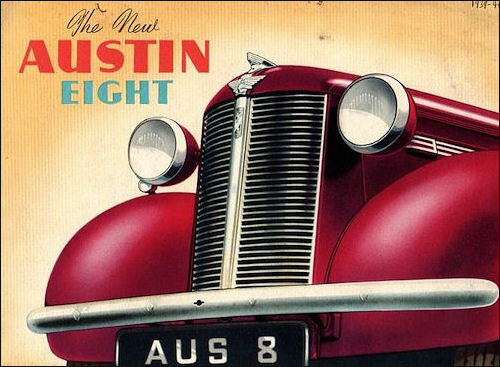 The 27.75 HP six-cylinder engine has an aluminium cylinder head and develops 90 bhp. 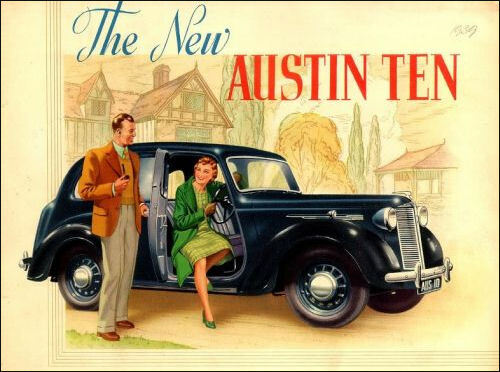 Cubic capacity is 4016-cc, wheelbase 11 ft 4 in. tyre size 6.50-17. 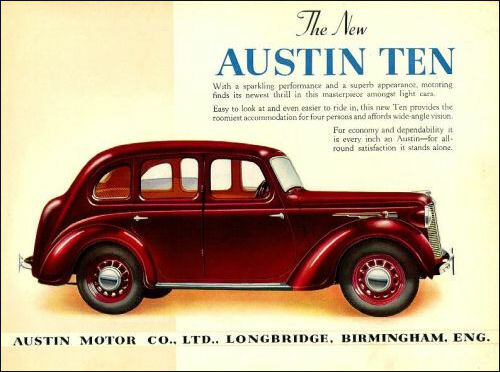 Glass partition, folding occasional seats and electric telephone are included in the standard specification.